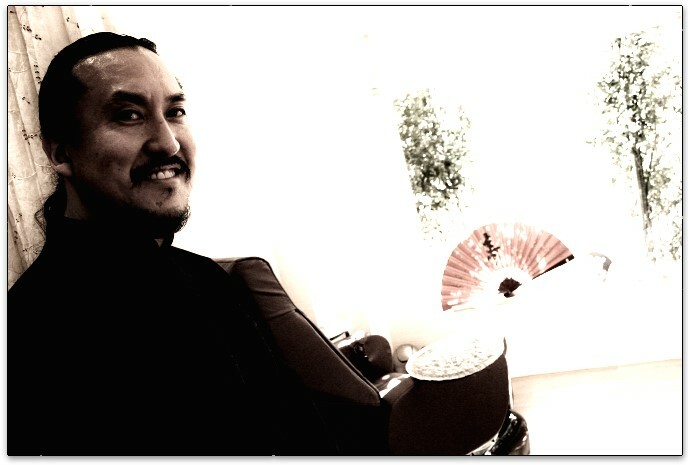 uring a stay at La Costa several years ago, I visited the Billy Yamaguchi salon and had a superb haircut and perfect color with one of the senior designers. So when I planned another trip to California, I made an appointment with the master himself, at his salon at the Four Seasons Westlake Village. The salon at Westlake is as inviting as a luxury spa: Set amid landscaped gardens, it’s an Asian fusion delight in natural wood and clean shades of red and ginger, honey and butter yellow. I knew that feng shui, meaning wind and water, and has been used in Chinese culture for thousands of years to observe the relationship among the forces of nature. According to feng shui, everything in world belongs to one of five elements or energies; fire, earth, metal, water and wood. By looking through Billy’s book, ‘Billy Yamaguchi Feng Shui Beauty: Bringing The Ancient Principles of Balance and Harmony to Your Hair, Makeup and Personal Style’, I had learned that words and colors are associated with the five basic elements and that the goal of Feng Shui Beauty is to balance them and achieve harmony. The client’s skin tone, face shape and lifestyle are considered, and then the best cut and color are chosen. What was especially appealing about the book was that all the models were actual Yamaguchi clients rather than professionals, so it was easy to identify with them. As I had explained that I spent little time on my hair, we agreed that I needed a haircut that suited my casual lifestyle, one that would look good without help from the blow dryer. Billy said that given the shape of my face—square--he’d like to see my hair a bit longer, maybe another couple of months’ growth. And he advised against the bangs I was wearing because I had a small forehead. My color, a kind of dark blonde or light brown, was too light, he said; and as I have what he described as “milky” skin and wear little or no makeup, I was looking almost monochromatic. Together we looked at the Schwarzkopf color book and agreed on a rich brown with subtle hints of gold. To my great surprise, Billy applied the color himself—and later, while my color was setting, I saw him wash out a young client, asking her what courses she was taking in college and sharing stories of his own childhood. This wasn’t what I’d seen or experienced in other celebrity salons, but later Billy told me that he genuinely enjoys interacting with people. No doubt that was why the time spent on my haircut passed so pleasantly. And when it was finished, I loved the way I looked. Not so radically different than I had before that I didn’t recognize myself. It was simply me. But a better me. 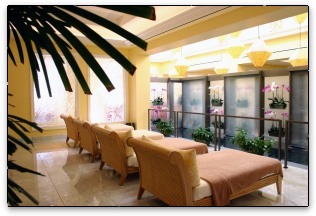 A haircut at the Westlake Village salon is $260 with Billy, $125 with a senior designer. Color starts at $135. The salon carries a full line of hair and beauty products that use only pure essential oils, herbs and natural ingredients.